On June 24, 2018, hundreds of activists joined us in Tornillo, Texas to demand the Trump Administration reunite families and fix the humanitarian crisis they created. 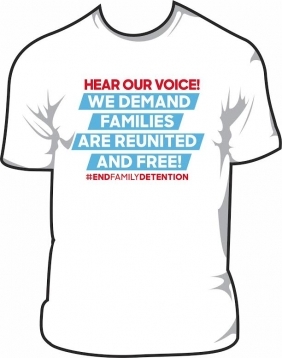 A clear and loud message was sent - Americans will not stand for the separation of families and won’t stop until we know every child has been reunified with their parents! The StopSeparation.Org coalition will now take the fight from Tornillo, Texas to the rest of America as we join the ACLU, MoveOn, and National Domestic Workers Alliance for a National Day of Action on June 30, 2018. 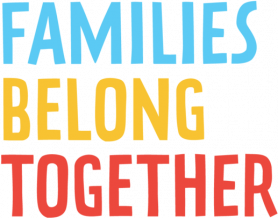 Under the Families Belong Together banner, we will mobilize activists from across the country to join rallies in support of immediate family reunification. of Congress: Tell them Stop Separation Now. 100% of proceeds will be donated to support local El Paso organizations. George Lopez is joining the fight to end family separation! who supported or efforts on June 24 in Tornillo, TX.